Take a drive and look at all the potential work a Roof Shampoo® Contractor can have in your community. Exclusive territory is assigned by counties. To see if your desired territory is currently available, go to the Contractor Locator section of the Roof Shampoo® website. Check the listings and if no-one is listed for your desired territory, chances are it's available! Then contact us to discuss your territory preferences. Due to our aggressive expansion plans, territory is going fast. So act now to secure your place as the exclusive Roof Shampoo® contractor in your area. 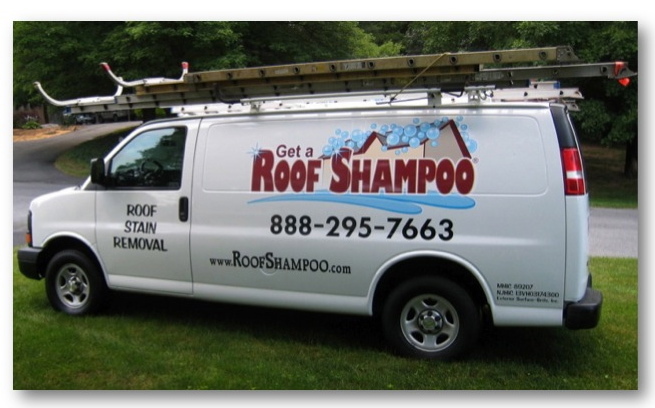 All Roof Shampoo® contractors are independent contractors so there are NO franchise fees, royalties or micro-managing. For more information on becoming exclusive Roof Shampoo® contractor in your area, contact us today.